Pipette.com is the exclusive distributor of Oxford Lab Products re-launched line of pipettes and equipment. Oxford Lab Products is back and better than ever! New ergonomic technology and innovate design make the Oxford Benchmate and Benchmate L pipette models one of the most innovative pipettes on the market. These lightweight pipettes are designed for either left-hand or right-hand use while also offering precise and accurate pipetting. 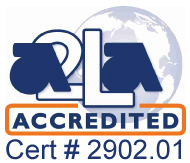 Featuring a 3-year warranty on top of their ergonomic, sleek designs, Oxford pipettes fit into any laboratory setting. 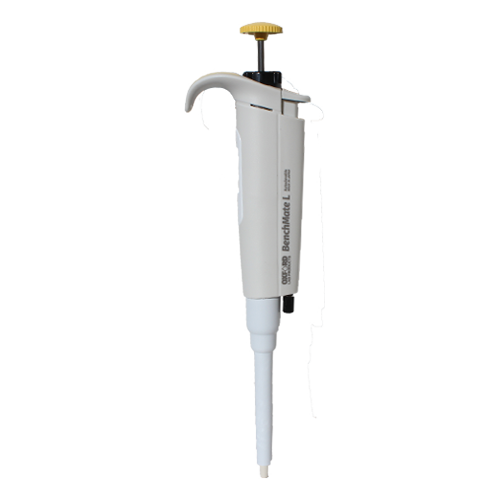 The Oxford Benchmate E Electronic Pipette is a versatile piece of equipment that will fit into any laboratory setting requiring a pipette. 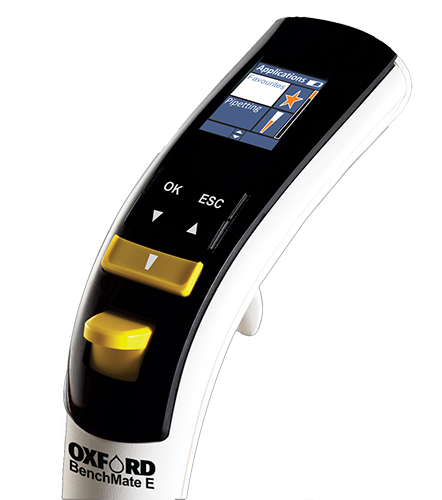 With an intuitive graphic interface displaying each of the 5 modes of pipetting possible, the Oxford Benchmate E is user friendly and flexible. Lightweight and ergonomic, the Benchmate E will aspirate and dispense liquid with repeatable results. 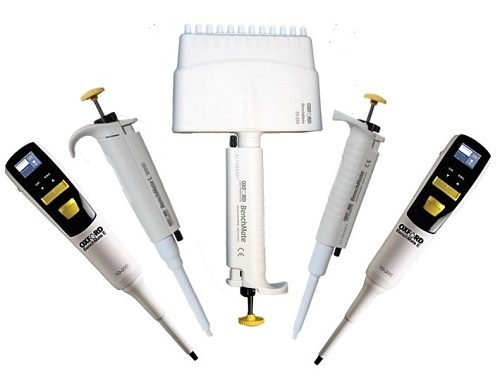 This line of electronic pipettes is ideal for laboratories that require precise measurements between operators while also working at a faster pace than would be normal when using a mechanical pipette. Electronic pipettes reduce the risk of RSI and remain consistent through all measurements. 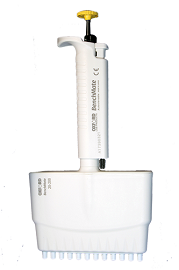 Read more about the Benchmate E Electronic Pipette here! 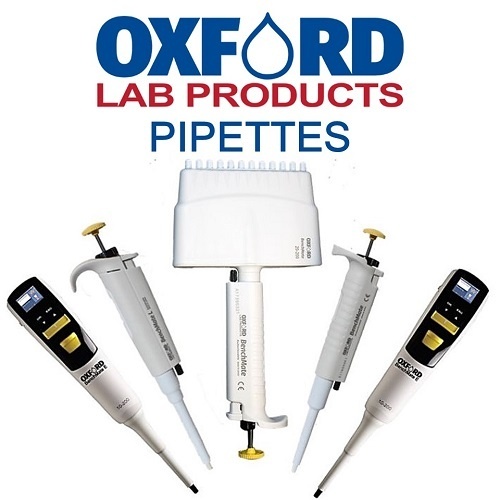 The Oxford LP Benchmate Pipette line is a mechanical pipette line offering both single and multichannel designed for comfort, fatigue reduction, durability, and precise pipetting. These pipettes are fully autoclavable and come with hyper blow out technology to improve dispensing accuracy. The Oxford LP Benchmate line of pipettes also feature enhanced UV resistance for work within the hood. The ability to be autoclaved and UV resistant means that the Oxford LP Benchmate line of pipettes are ideal for working in any sterile laboratory that handles operations such as Cell and Bacteria culture. Available in both new and refurbished conditions, the Benchmate mechanical pipettes are affordable and reliable. 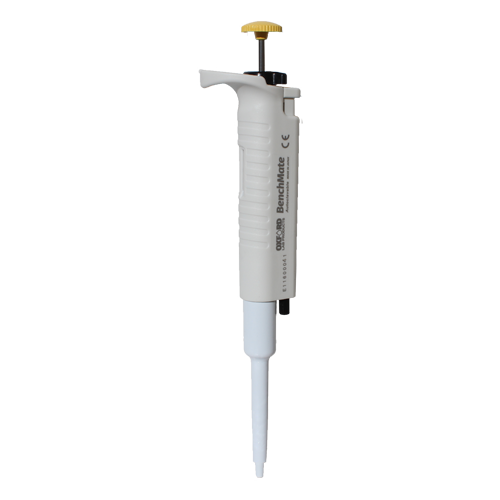 Read more about the Oxford LP Benchmate L Single channel pipette here! Autoclavable and UV Resistant Pipette is Ideal for Sterile Laboratory Work like Cell and Bacteria Culture. The Oxford Benchmate E Electronic Pipette is an extremely ergonomic pipette with an intuitive user interface, while boasting precise and accurate pipetting. Introducing the electronic multichannel pipette by Oxford Lab Products. The Oxford Benchmate E electronic multichannel pipette features an easy to use, color graphic interface and 5 pipetting modes.